Unsure what to eat? Want to leave the office for a bit and grab some grub with your team? Try Lunch! 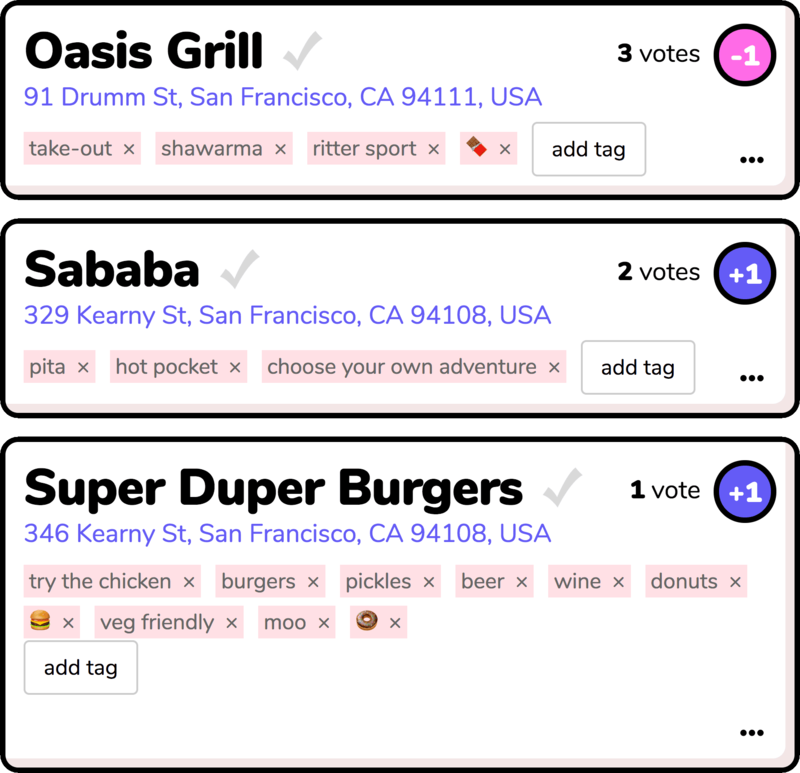 Put together a list of nearby restaurants. You can add as many as you like. 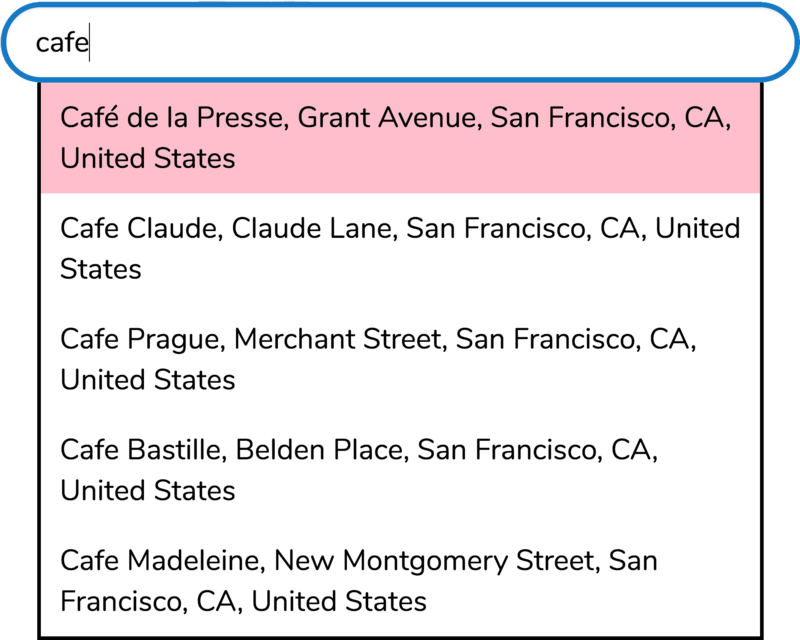 Tag the restaurants, then filter or exclude certain kinds. 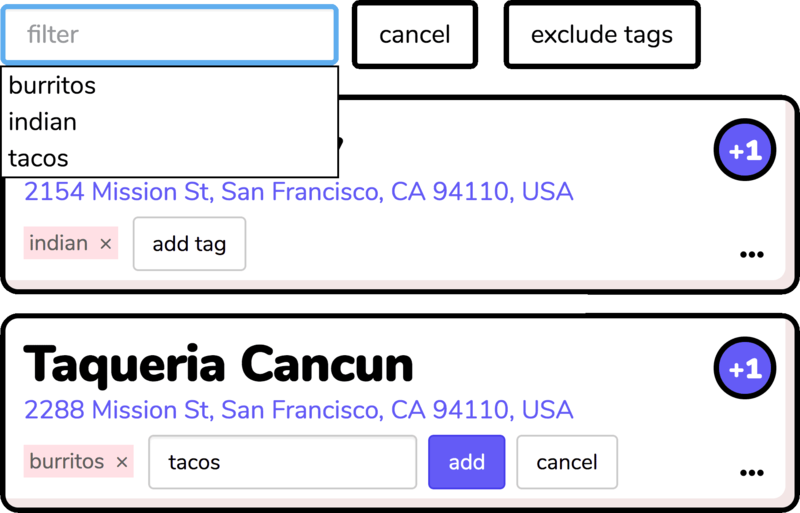 Emoji tags? Go for it! 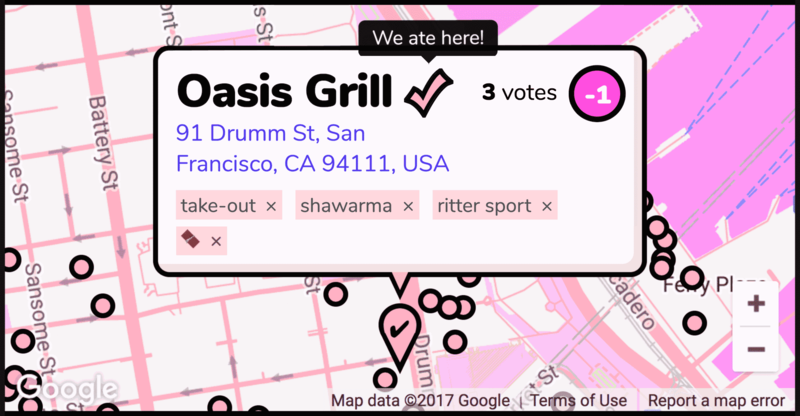 You only get one vote per restaurant each day, but you can vote for as many as you like. Voting also affects what shows up at the top of the list tomorrow! When you mark a restaurant as the decision for the day, it’ll be sorted to the bottom of the list for the next few weeks to keep things fresh. Already a member? Come on in!